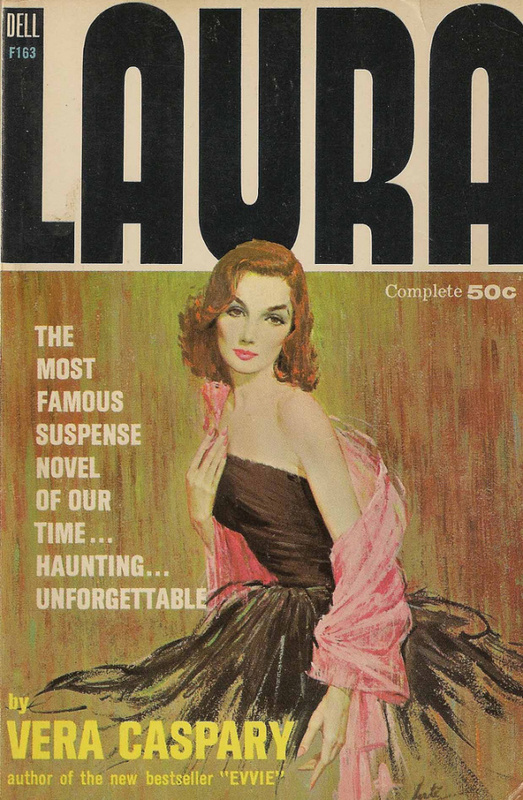 I don’t know what kind of foolish art director decided to crop out the peeping tom from this cover, but at least he used it on the back cover. 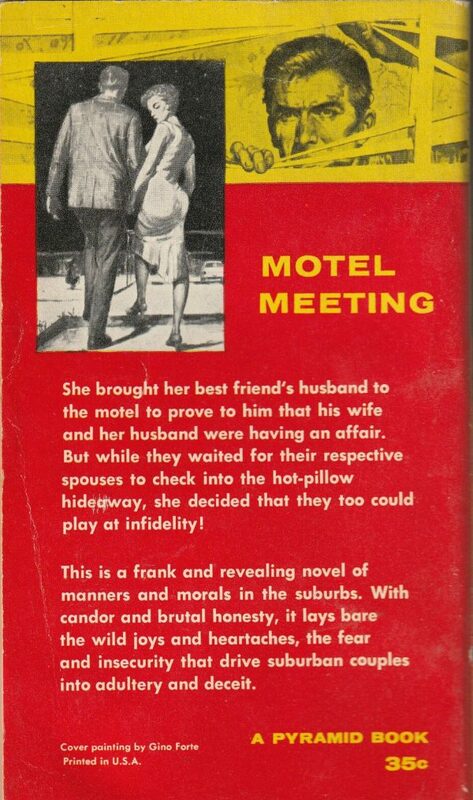 She brought her best friend’s husband to the motel to prove to him that his wife and her husband were having an affair. 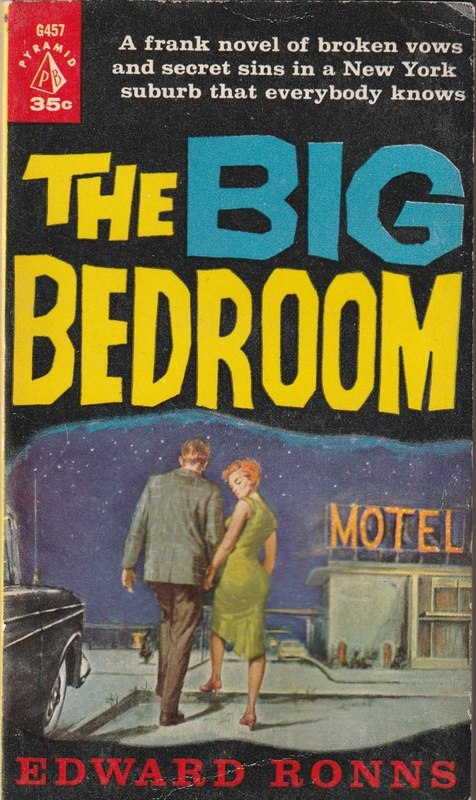 But while they waited for their respective spouses to check into the hot-pillow hideaway, she decided that they too could play at infidelity! This is a frank and revealing novel of manners and morals in the suburbs. 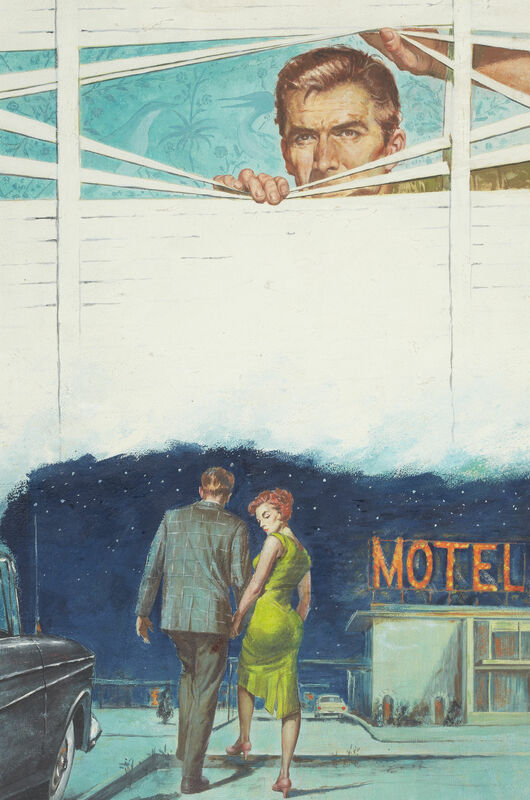 With candor and brutal honesty, it lays bare the wild joys and heartaches, the fear and insecurity that drive suburban couples into adultery and deceit.